I tried this restaurant for the first time and I was blown away by the exceptional customer service. I reserved 2 weeks in advance for a friend’s b-day celebration and I made sure to note that we had vegan guests. From the moment we walked in, they made sure to find out what everyone’s special needs were and the way they asked didn’t make us feel like we were a burden. Im very tough to please but the attention from every server was great! The drinks could’ve been stronger but they were good nonetheless. The way the tofu is cooked at this restaurant is really good and I love the way the birthdays get celebrated (with drums). 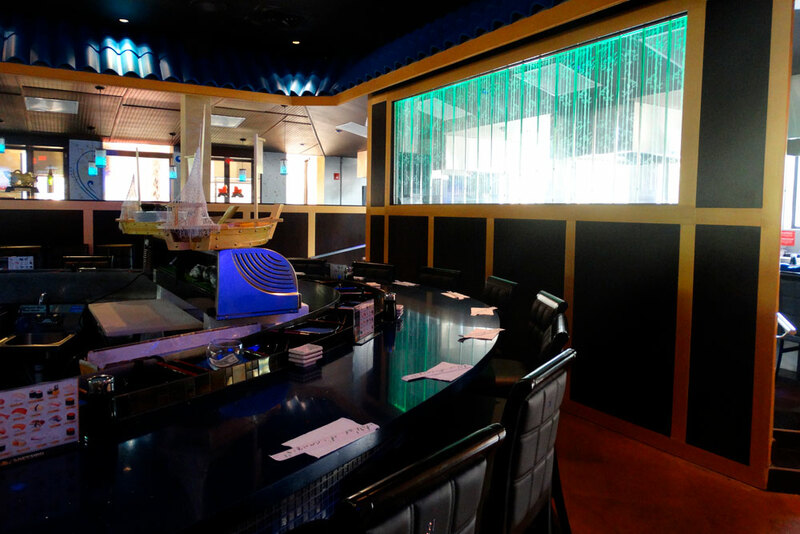 The ambience makes this place a winner along with its great staff! We really enjoy coming here. 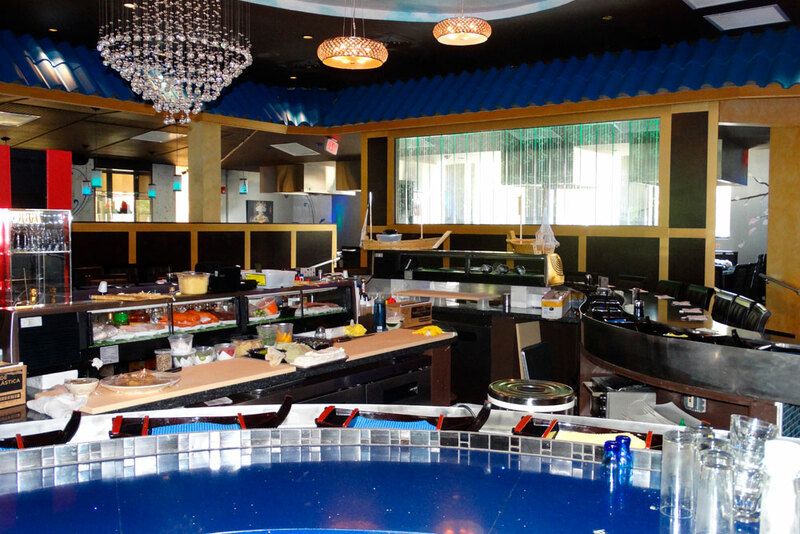 You have the option of sitting at a regular table, hibachi, or by the sushi river. 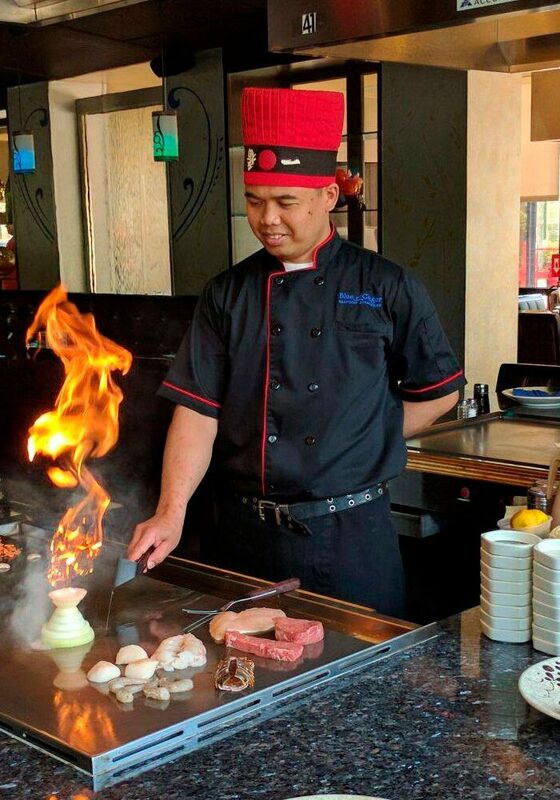 The hibachi is great, the chefs put on a great show and the good is delicious. 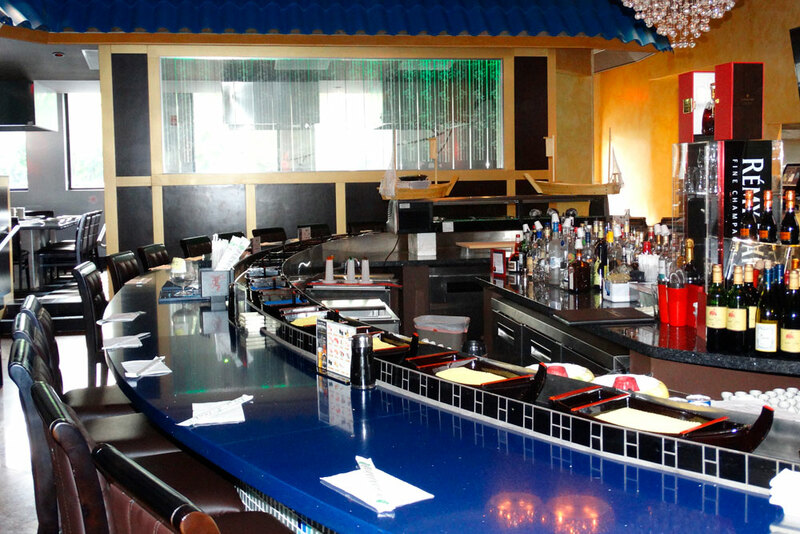 Not to mention the portions are also great compared to other hibachi restaurants. The staff is very attentive and friendly. If you decide to sit at the river, the cooks behind the counter are there to make whatever sushi you want exactly how you want it. They’re also very friendly and aim to please. My experience here was wonderful, me & my brother brought my mom here to celebrate and have lunch for her 72nd birthday. When we arrived we didn’t have reservations but we still had a short wait time. I found the place to be very clean and well kept. Our waitress was very friendly and went above and beyond to make sure we were comfortable and satisfied. We also had a very comical chef who sang happy birthday and did other tricks for my mom’s special day. The food was very tasty and satisfying. You get plenty of food for your money! After we finished eating a few employees came out to sing happy birthday to my mom again, which we really appreciate. Overall I give this restaurant “ 5 stars”. I had a wonderful time and I would definitely come back. I will also share my experience with others. keep up the good work because, it’s very rare to find a restaurant that has a good atmosphere, good service, and good food! 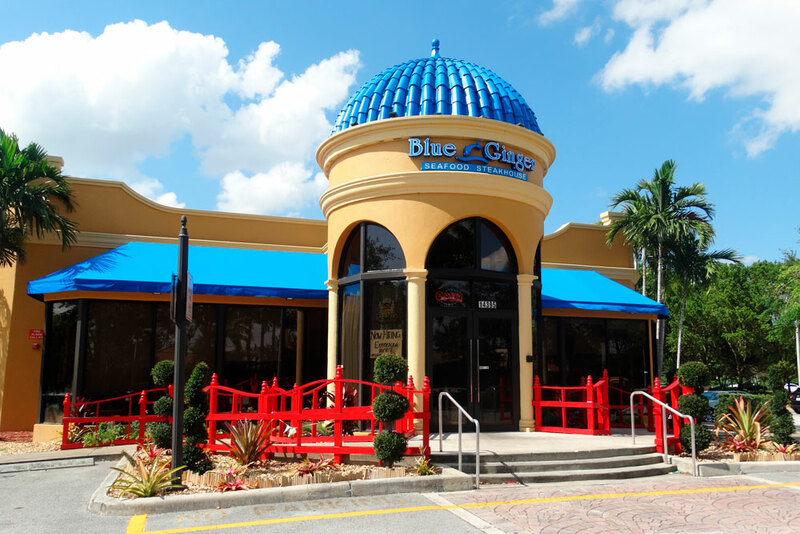 Have been to Blue Ginger several times now and I’ve yet to find a disappointing dish. If you’re in the area you must try. My wife and I have been coming here 3-4 times a month for the past 2 years we love sitting at the bar and watching the sushi go by. 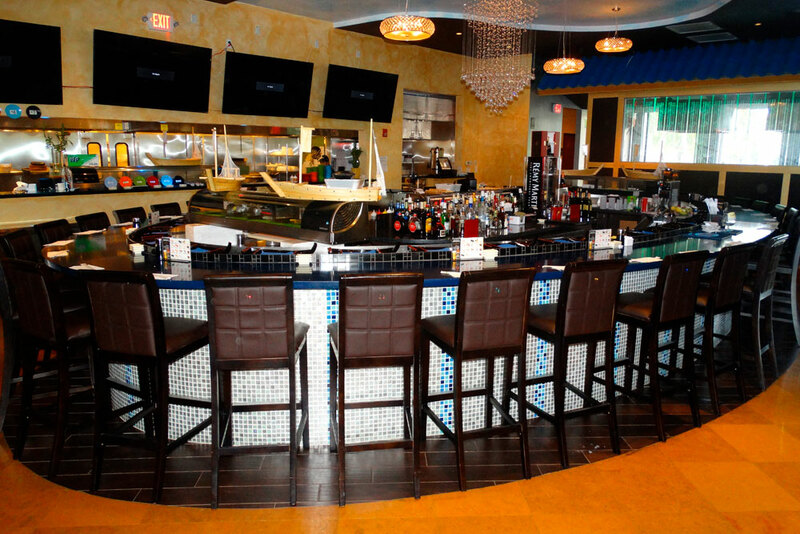 I have to give props to the staff, Fabio at the bar particularly is really good, knowledgeable, and friendly…he and the rest of the staff is at least half of the reason why we keep coming back so frequently. 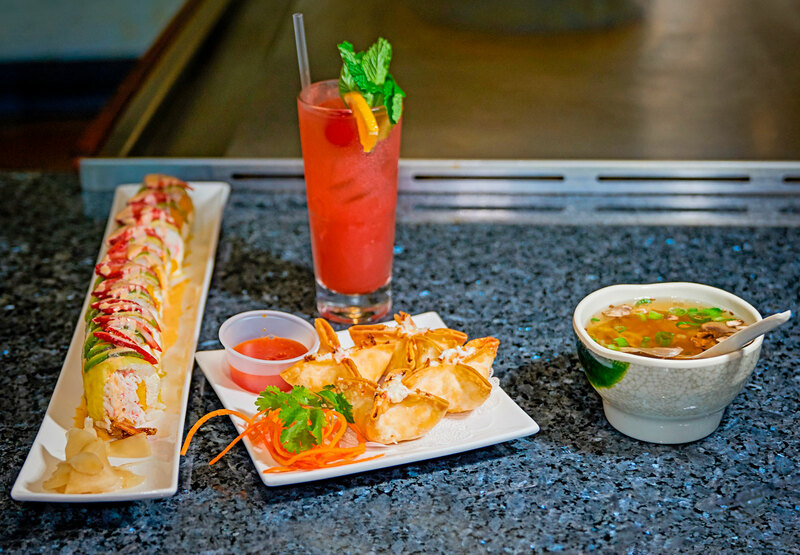 Our chefs are skillfully trained in the art of Teppanyaki cuisine. 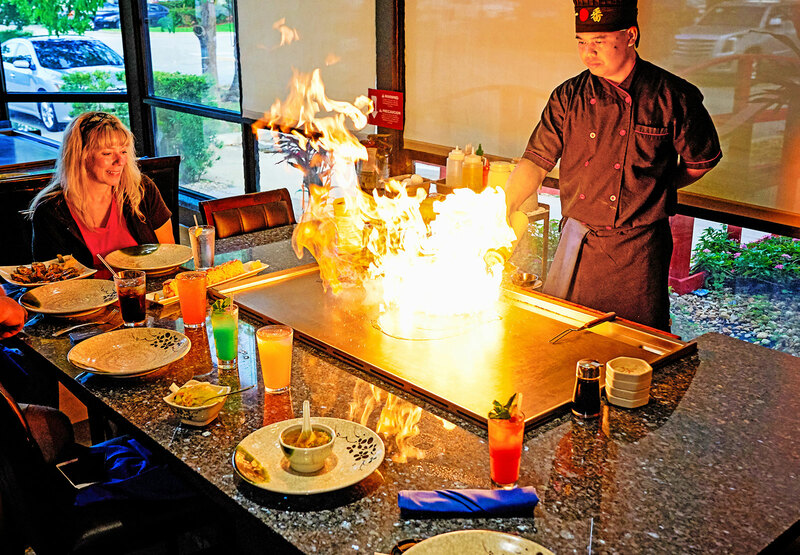 You will thoroughly enjoy a delicious, teppan-styled meal prepared right in front of you. They demonstrate their mastery with the knife and spatula all the while delighting diners with mouthwatering meals. 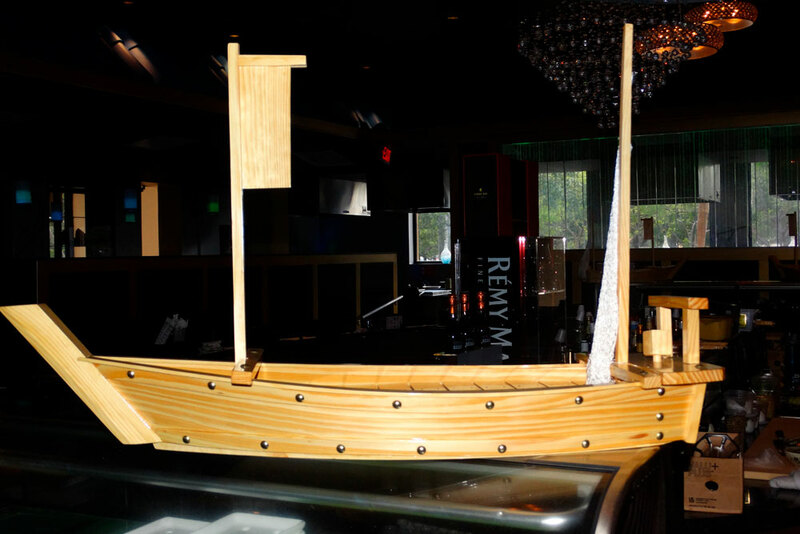 In addition, our sushi chefs also take tremendous pride in the fine art of sushi taste and presentation. Always showcasing the finest and freshest seafood in the most artful way. 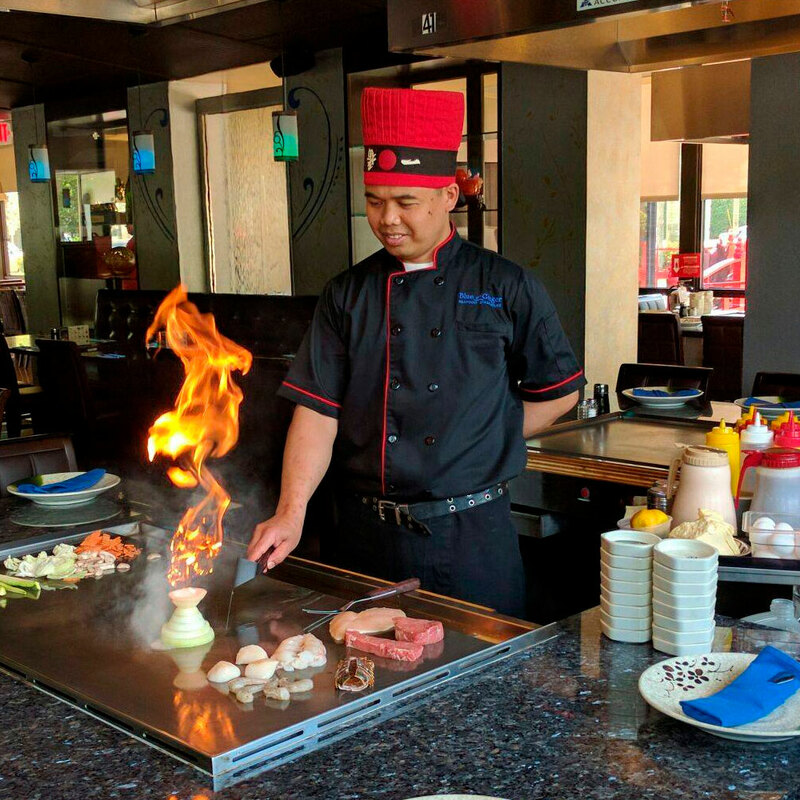 Dining at a Blue Ginger is always a theatrical experience whether it’s the artistry of the Teppanyaki style cooking, or beautifully crafted sushi plates and Japanese traditional dishes, our guests are sure to be pleased. Our customers can always expect something extra special when they visit. Whether you are coming for quick lunch or are celebrating a special occasion, you won’t be disappointed. 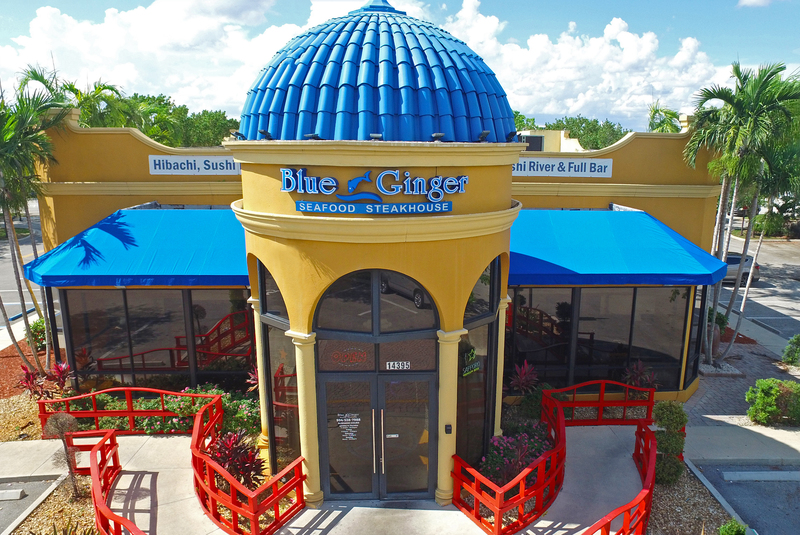 2019 Blue Ginger Seafood Steakhouse. All Rights Reserved.